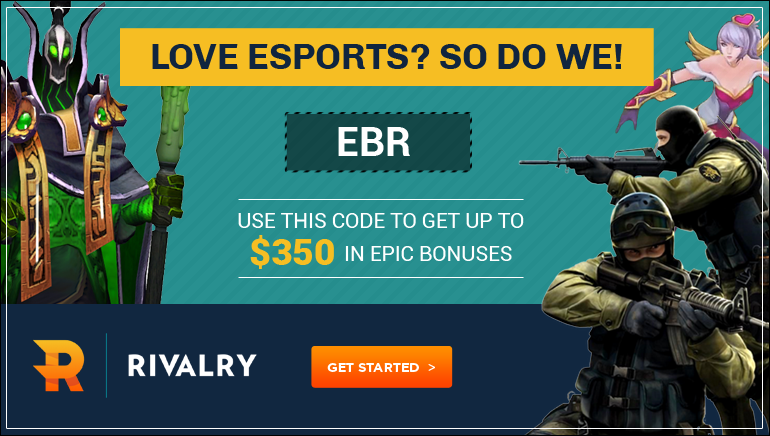 Rivalry provides punters with a comprehensive selection of betting markets on all the popular eSports. 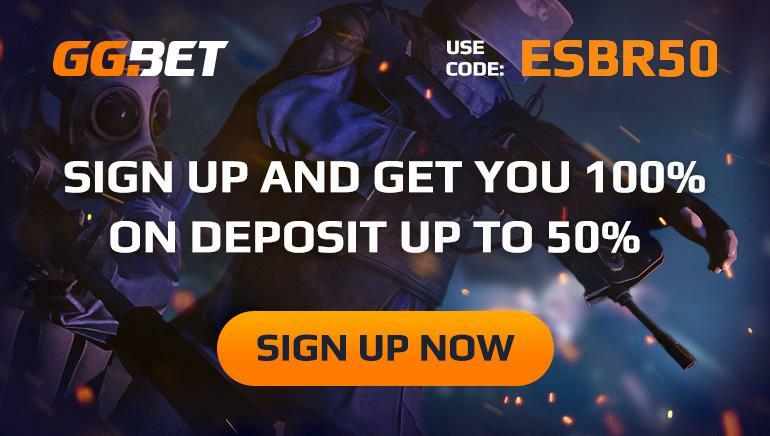 The bookmaker dedicates ample coverage to online and offline CS:GO, Dota 2, League of Legends, Overwatch, Call of Duty, Hearthstone and Starcraft tournaments. Those who bet here can take part in their campaigns and there’s a brand-new offer for those who register with the bonus code EBR. Players who use this promotional code can collect up to $350 in bonuses that come with no strings attached. This new promotion is open to all Rivalry punters who use the correct bonus code and it comes with no strings attached. That’s because the bonus funds are credited directly to the accounts of eligible players without additional conditions and fine prints. Only the general terms and conditions apply, so players are advised to go over them before signing up for this offer. The registration process takes only a few seconds and players can even login with Google, Facebook or Steam. What makes this promotion special is that players unlock the bonuses available in a highly interactive manner. They level up their betting skills while completing unique challenges and each achievement brings them one step closer to their goal. The total bonus pool consists of $350 and players unlock chunks of this amount incrementally, so they also enjoy immediate gratification. Once money is credited to their accounts, punters decide what happens next and they can place further bets or cash out their winnings.